Here, a woman sits among strewn coconut shells and cases of Quaker Oats and Pet milk waiting to be shipped. 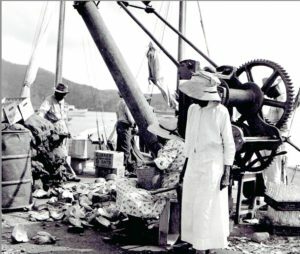 Since the early 1900s, this wharf is where all the produce and products sent from the Leeward Islands and Puerto Rico entered. 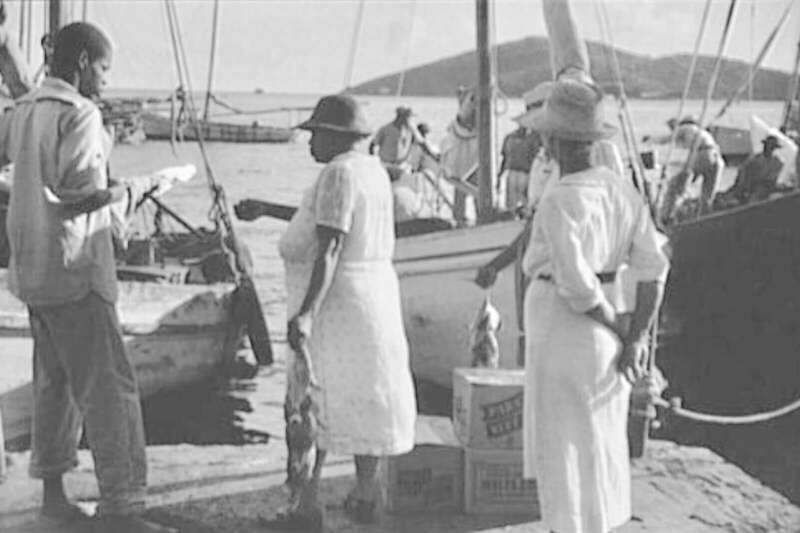 Livestock, fish, fruits, vegetables and charcoal among many other items were the life force of the local economy. 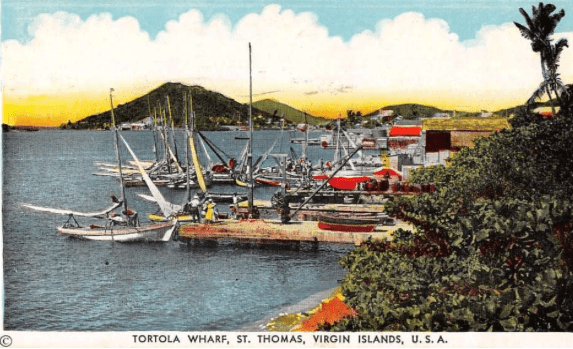 Today, the waterfront is still busy with the trading and exchanging of goods from other Caribbean islands.